MOSCOW, January 30. /TASS/. The Russian military ranks high among the world’s leading armies by its armament, which was proven by Russia’s anti-terror operation in Syria, President of Russia Vladimir Putin said on Tuesday. "The use of our weapons in Syria has convincingly proven that by its armament the Russian military is among the world’s leading armies," Putin said at a military and practical conference on the results of the anti-terror operation in Syria. Some of Russia’s weapon systems are unrivaled in the world, Putin stressed, adding that serious work is needed to preserve the global leadership. "We should not have our heads in the clouds. All of us know how weapons in other countries are developed. So, we must harbor no illusions. We must be always one step ahead. But to ensure the development of the armed forces we must keep on working hard," Putin underscored. The defeat of terrorists in Syria has demonstrated the reliability of Russian weaponry and equipment, he went on. "The defeat of the well-armed groups of terrorists in Syria demonstrated the strength of our army and the navy," Putin said. He pointed out that the progress in the operation demonstrated the traditional reliability and effectiveness of Russian military hardware. "According to the Defense Ministry, 215 up-to-date and dramatically new types of weapons were used. Many samples of current military equipment were put to test," Putin said. "By and large they confirmed their high performance parameters." Putin put the emphasis on the positive experience of using long-range air and sea-launched smart weapons, in particular, the cruise missiles Kalibr and the less known missiles X-101. Strategic planes were used in combat for the first time. 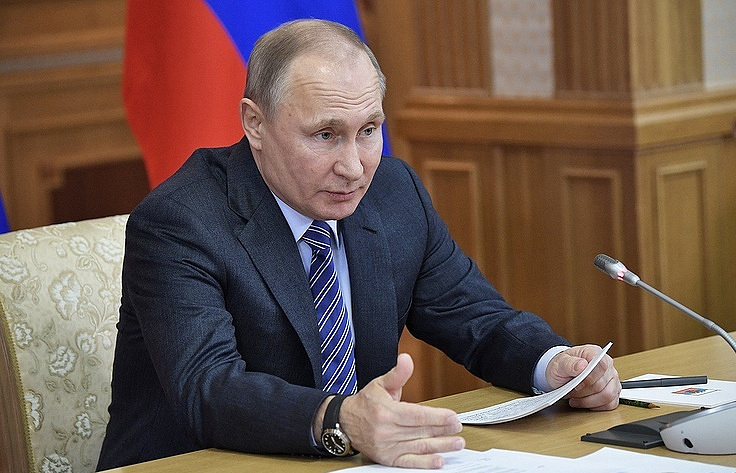 "Tactical aviation and drones coped with their tasks well enough, while air defense systems S-400 and Pantsir, in combination with fighter jets ensured the supremacy of our Aerospace Force in the air," Putin said. In particular, he noted the fact that the entire air space of the region where strong aerospace groups were in operation was under effective control. Putin noted smooth cooperation by the naval forces. Surface ships and submarines delivered precision strikes against terrorist infrastructures. He stressed the role of shipborne planes Sukhoi-33 and MiG-29K. Russian Armed Forces and industrialists should thoroughly assess the use of new weapons and military equipment in Syria as the army’s combat capabilities depend on it to a large extent, he said. The president pointed to the need for an in-depth analysis of the use of Russian weapons and military hardware in Syria. "We should detect all the problems we could face until we reach the required result," Putin said. "If we turn a blind eye to any equipment flaws today, it will affect the combat capabilities of our armed forces tomorrow. So we should bear our experience in mind to constantly improve the existing weapons and develop new advanced ones," the president stressed. Putin added that senior officials at the Defense Ministry and weapons designers should keep the work to remedy equipment flaws under control. 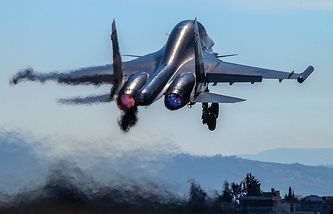 "In Syria, some weapons and equipment flaws became evident, according to the objective monitoring data, as well as to our military servicemen taking part in the operation. I request that all the relevant information be thoroughly studied and changes be put in the serial production," Putin said. He stated that if necessary, additional research and tests must be conducted "in order to take the equipment to the desired level of quality." In the era of new technologies, Russia must ensure its leadership in the defense industry, which will particularly make it possible to boost military cooperation with other countries. "Today, when the world is facing rapid change in technologies, we must ensure Russia’s leadership in the defense industry," Putin stated. "It will not only allow us to provide the most advanced weapons to our Army and Navy, but will also make it possible to boost military cooperation with other countries and strengthen Russia’s positions on the global market of military and civilian technologies," he added.